The United States accused Russia of being an "irresponsible player" for boasting about an array of new, mostly hypersonic weapons, that President Putin said would make its nuclear arsenal invulnerable to interception by the US. State Department spokesperson Heather Nauert told reporters it was "unfortunate" to watch a video animation depicting "a nuclear attack on the United States" that accompanied Putin's state-of-the-nation speech Thursday, calling the video "cheesy" and "irresponsible." "We don't think that kind of imagery, in a cheesy video, as being a responsible action." She also said Putin's announcement confirmed, "what the US has known for a long time that Russia has been developing destabilizing weapons systems for more than a decade in direct violation of treaty obligations." She then proceeded to ignore Russian reporters at today's press briefing. 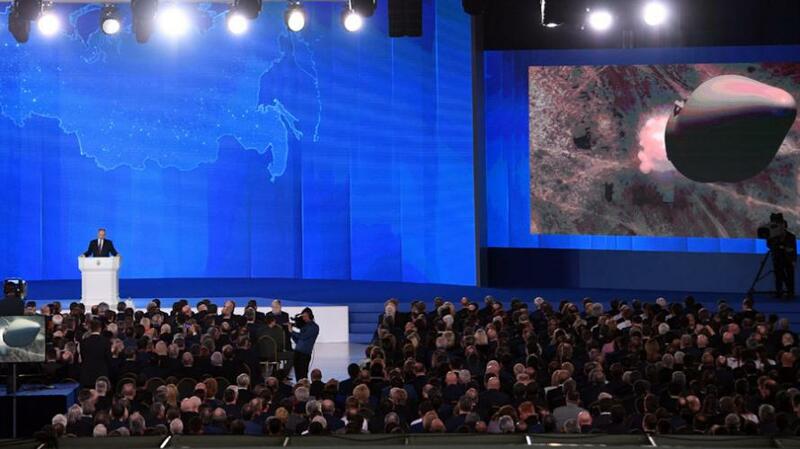 As reported earlier, in his speech which took the west by surprise with the scale of Russian military accomplishments, Putin unveiled the latest additions to the country's nuclear arsenal, including underwater drones capable of launching nuclear strikes and hypersonic missiles. The Russian president made the announcement at his annual state of the nation address in Moscow, Putin's last speech before Russia's presidential election on March 18. "We don't regard that as behavior of a responsible player," Nauert said. Meanwhile, the Pentagon urged calm and expressed it was "fully prepared" to handle the advanced Russian nuclear threat. "We're not surprised by (Putin's) statement. 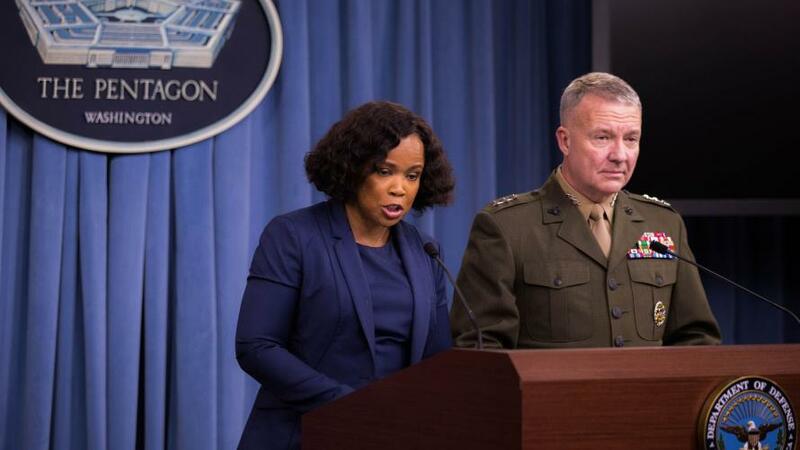 And the American people should rest assured that we are fully prepared," Chief Pentagon spokeswoman Dana White adding that she was "very confident" in America's ability to react to "anything that may come our way." "We are prepared and we are ready," she said. "This is not about defense. This is about deterrence." Ratcheting up the new cold war rhetoric, she added that "we need to ensure we have a credible nuclear deterrent, and we are confident that we are prepared to defend this nation no matter what." The White House echoed the Pentagon's statement, saying that US deterrent capabilities "are and will remain second to none." Spokeswoman Sarah Huckabee Sanders told the press that the country is "moving forward to modernize our nuclear arsenal and ensure our capabilities are unmatched." "US defense capabilities are and will remain second to none, and now because of the new defense budget of 700 billion dollars, our military will be far stronger than ever," Sanders said. "I see some of this as a response to the US nuclear posture review, which is quite remarkable in that it stresses the importance of nuclear weapons and building up the US nuclear arsenal -- something President Trump himself has said," said Angela Stent, director of Georgetown University's Center for Eurasian, Russian and East European Studies. In other words, a new nuclear arms race has begun. The Trump administration has asked for a major boost in military spending for 2019, requesting Congress approve a budget of $686 billion, the largest in US history, and an increase of $80 billion from 2017, which the Pentagon says is primarily aimed at countering Russia and China. US officials are also increasingly turning their attention to trying to develop some sort of defense against hypersonic missiles. In its proposed $9.9 billion requested budget for 2019, the Missile Defense Agency (MDA) is asking for $120 million to develop hypersonic missile defenses, a big increase from the $75 million in fiscal 2018.